November 9, 2018 - The digital marketer's #1 daily briefing! Another week in the books. But we end it on a mixed note. Chrome's new update goes for the kill on mobile subscriptions it seems. Facebook brings new tools to test your conversion events easier. There's a nice alternative to Photoshop we can recommend. Also, a cool roadmap for your e-com journey from today's sponsor. Do you remember that Chrome 71 update? And how they are really trying to kill misleading ads? 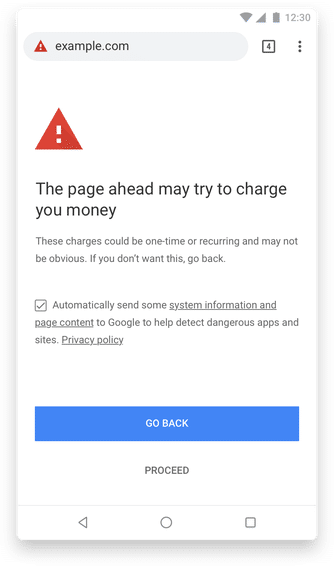 Chrome 71, which will be introduced in December, will warn users if they will be charged on their phone bill. And users will see a warning whenever there is insufficient mobile subscription information available. Of course, this isn’t the end of carrier billing offers. But, this update will make it harder to run them, with obvious effects on your conversion rate. However, Google isn’t as evil as that guy from Menlo Park, that just flags you without even letting you know why. 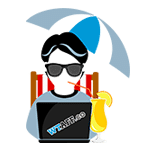 In fact, the website owner will get a warning through the Google Search console that their mobile billing page needs improvement, and the webmaster can inform Google once it has made the necessary changes. If Google accepts their update, the warning is then removed. Times are changing… Restrictions increase day by day. And for us affiliates it becomes harder to get that sweet ROI, with any traffic. We have to be as reactive as possible and we can’t do anything but follow certain rules if we want to be around for a long time. But hey, at least you still have us and we have you! Photoshop burning a hole in your wallet? Enter Photopea. It’s free and can be accessed from any web browser. So you won’t need to download or install any software. Therefore, it is very useful when you don’t have that type of software on your computer and you want to quickly edit an image. It’s also handy just to view a PSD file without having to go through Photoshop. Plus, it’s very quick to use. You just need to import the document and edit it with their easy interface. Facebook’s new Test Events tool will help you test your events right in the Ads Manager. Frequent scenario: you open your Ads Manager and you see a lot of conversions. Then, you go to your store/affiliate panel to check it out. Until you discover that your conversions are much less than what Facebook showed… Very bad story. But we hope that with this debug tool Facebook released, it won’t happen anymore. Test Events is a debug tool in the form of a tab that helps advertisers test events in real time. It can be found in the Events Manager section, next to the Events tab. Your activity is only recorded while the Test events web page is kept open. And also make sure to check your ad blocker. While navigating you will see information on the events being fired and the URLs they are being fired on. This means no more exhausting debugging of Facebook events when implementing them on your website or your app. In an article by Jon Loomer, we get a peek into why and how he manages his ad spend by country. There is a time and place for any of these, but there are more times you should do options 2 and 3. As pointed out by Jon Loomer, FB’s optimization is a mysterious thing, but they do reach people that are most likely to perform the desired action. Grouping them by location helps with the timing and delivery of your ads. High engagement but no paying customer. That’s a nightmare. Because of that, Jon uses method 2 and 3 from the previous list – Country Clustering and Segmentation. Let’s say your primary country is the US, with UK, Australia and Canada behind it. What you want to do is distribute your budget between these primary countries separately. If you put them into one group, FB would target Canada the most, because it wants to raise the lowest CPM first. The US then stays behind. Not a good way to spend your ad budget. But all this can create a problem. FB’s goal is to get the most actions for the lowest price. And while clicking a link or making an e-mail list may lead to revenue, on its own, it isn’t. At least not always. Some may point out that the 4 primary countries are the “high quality” ones, but they aren’t the only one leading to revenue. For example, India is looked at as a low-quality country, but Jon Loomer himself has 64 paying customers from there. Including India in your ad set that includes the US, UK, and Australia may lead to problems. Because India is so cheap to reach, FB will send a bulk of your impressions to India instead of the ones with higher quality. What exactly does Jon do? He has 90 countries in which he makes revenue, so he has to have a system, right? Yes, he does. A truly simple one. In this example, he talks about picking only 24 countries from the 90 he has. For his four primary countries (US, UK, Australia, Canada) he creates a separate ad set for each of these, investing the most in the US (about 50% of the current campaign budget). The next 5 countries are “tier 2”, applying the ratio of revenue to those countries. Finally, in “tier 3”, he includes all the 15 remaining countries, dividing them into High CPM and Low CPM, distributing the budget between those two evenly. This is truly micromanagement and he doesn’t do it that often. Most of the times he only micromanages his four primary countries. If you would like to dive deeper into this topic and know more, click right here for the whole article. Instagram is introducing some updates about the hashtags use that can influence your Instagram marketing. First, they’re testing a hashtag selector tool that would allow marketers to add hashtags to posts without them being listed in the caption. This would allow businesses to reach a greater audience without taking away from the messages in their captions and photos. There is some bad news too. They introduced a search restriction: businesses will only be able to query a maximum of 30 unique hashtags for an Instagram Business User within a seven-day period. Moreover, it will be more difficult for businesses to gain access to the API and you will need to go through an App Review process to be approved. Then, the new hashtag search API does not include personally identifiable information. Also, hashtags that are used in Instagram Stories will not be identified by the API. Although the new search is limited, hashtags are still important: posts that have at least one hashtag average 12.6% more engagement and lead to more Instagram followers. In addition, they are important for the platform too: with more than 95 million photos posted to Instagram each day, hashtags are really the only way the platform can deliver relevant content to the right people. 2 Weeks to Black Friday, are you ready? You obviously know this is a big sales day – so are you and your store prepared for it? Can you fulfil the orders you expect to get? It’s the most challenging quarter for e-commerce, but also the most rewarding if you do things right! It’s also something uDroppy can help you with. 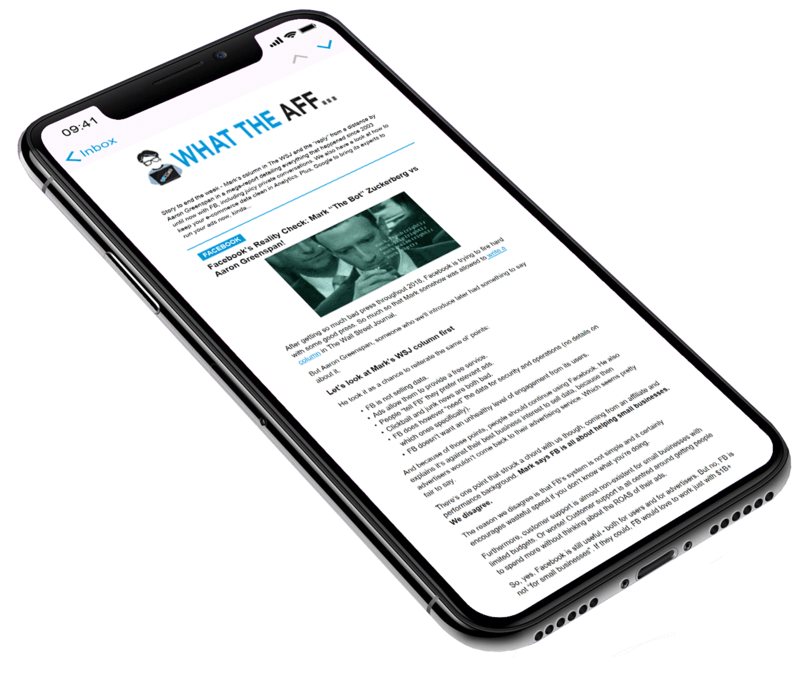 They are today’s newsletter sponsor and have 3 things for you. First: the touchdown strategy! No, not for football, for e-commerce… It breaks down the 3 main steps in e-commerce – from dropshipping in a general store to building a brand. Test many products, regardless of verticals. Start running campaigns. Some will be losers, but some will pass the audition – those with 4 or higher ROAS. Once you have your players, aka the winning products, you create a new general store, just for them. You will now order products in bulk and store them into a warehouse. Your costs will now be lower, your shipping faster and your customer experience better! Your best products are ready to get into the hall of fame. This will be a branded niche store or a branded single product store. From now you are building a brand. You store these products in a warehouse and eventually create a validated brand that can grow in the long term. Secondly, uDroppy can help you with all these steps! They source, fulfil and ship products for you. You can start off with the touchdown strategy with them in just a few clicks. Or, are you already established and need some help for the big day? uDroppy can help you get more sales in this crazy time of the year by automating your entire order fulfilment! With one click you can fulfil hundreds of different products and orders with just one payment. Sign up here, get your personal e-com manager and discuss your specific needs with them. Third – do you want to go to AWA18? uDroppy is giving you the chance to attend the most anticipated Affiliate event of the year by giving away one ticket. All you have to do is fill in this survey and you are part of the draw! 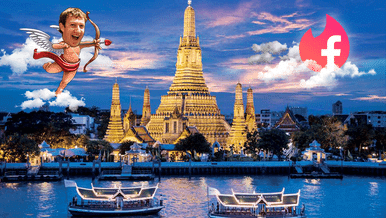 Facebook’s “Cupidberg” goes to Thailand! Do you have everything scheduled for Affiliate World Asia, in Bangkok? Well, you might get busier now because Facebook just released their Dating features in Thailand, where a few thousand affiliates are heading in December. And also in Canada, but we’re not gonna talk aboot that now, eh? What we are wondering is will affiliates find their better half thanks to this? Will they spend Christmas together? Will The WTAFF Crew get invited to the wedding? So many questions… We’ll just have to wait and see what happens in Bangkok to find out the answers.